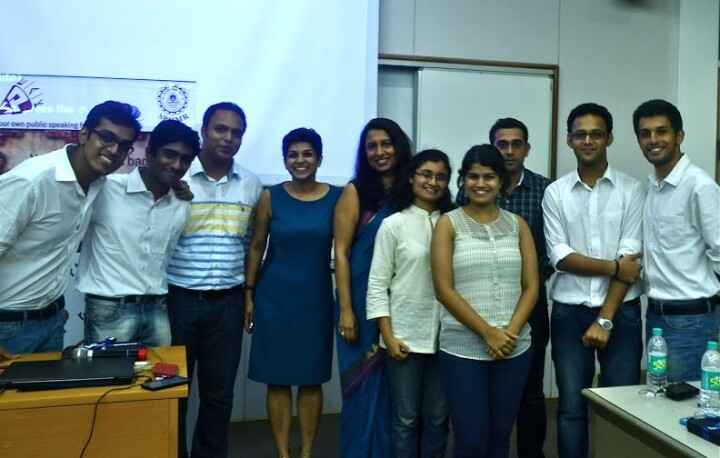 Kirthiga Reddy, MD Facebook India, inaugurates SPeak : SPJIMR’s own public speaking club! 24th of September 2014, Wednesday 1800 hours, the SPJIMR campus was abuzz with the official launch of SPeak – the students’ own public speaking club. To do the honours, they had none other than the person who had ‘pulled up the shutters’ of Facebook office on its India debut. An eminent public speaker, the MD of Facebook India, Ms Kirthiga Reddy, was apt for the occasion. 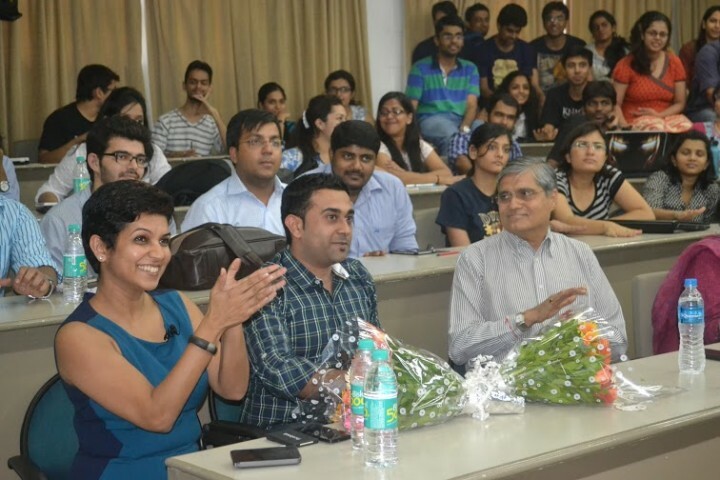 SPJIMR was privileged to have her august presence on campus. The Dome was packed and in order to ensure that no one should miss out, a live stream of all the proceedings was also telecast. Students from all programmes – PGDM, FMB, PGCIM, PGPM – were a part of the experience. Ms. Reddy in her opening words reiterated SPeak’s conviction that communication is one sphere that can be consciously and continuously enhanced. 1. Dreams must be big enough to scare you. She also gave an insight into the culture at Facebook and how they are trying to make the world more open and connected. As of today, 1/3rd of the world’s population i.e. a mammoth 1.8 billion use Facebook and a million of them use it on mobile. She also shared about how Facebook has a positive impact at the community, business and individual level. There was also a surprise element wherein the SPeak team put Ms Reddy on the hot seat and fired some questions at her. Each response of hers was prompt, accurate and had a deeply embedded message. Amidst all this, there was also a competition and the winning team would get to shadow Ms Reddy for an entire day, an opportunity which comes once in a lifetime. Two teams were shortlisted for the final round and the elimination process was done by Aashish Dua who is part of Facebook. The winner of the competition was team Audacious Morons comprising Divyank and Anamika, both students from PGP- 1. Every session leaves some lasting impression upon the audience. This one had many. She concluded with two heavyweights, one a statement and the other a question. According to her, “Innovation will come from how well we harness information” and the question she put forth was, “What would you do if you weren’t afraid? This got us to the end of the wonderful session – that will stay with us for a very long time and help us to make a positive difference in our lives.